Looking for a crafty way to surprise that someone special in your life? Well, how about a keepsake made from a deck of cards? 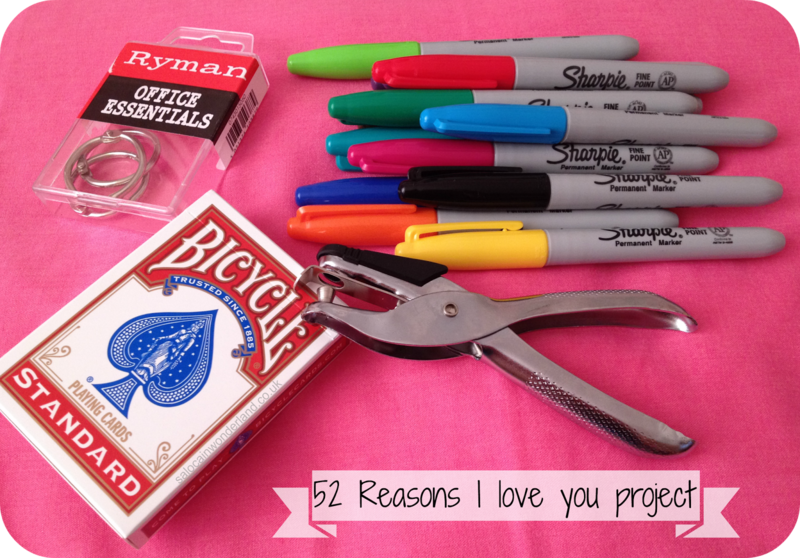 Most commonly known as the 52 reasons why I love you project, I adapted it ever so slightly and put my own spin on it. 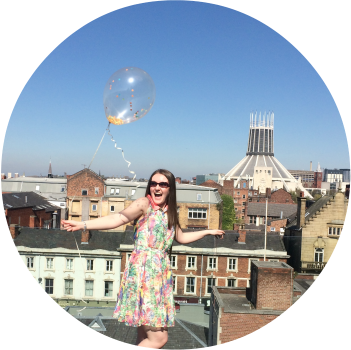 Meet; Our first year together…and a few reasons why I love you. This year, Mr.Man and I celebrated our first year anniversary with a trip to Barcelona. That was our gift to one another but I still wanted to surprise him with a little something. I’m a sentimental old fool and when I came across the original project I jumped at it, it was perfect. Cute, easy to make and a brilliant keepsake. Then I had a light-bulb kind of moment, the sky illuminated and the bells rang…you see, our first year together, that’s 52 weeks together…and there are 52 cards in a deck. Do you see where I’m going with this? So, I started with a list. A list of things we had done together over the first 52 weeks of our relationship. It’s a good job I have a diary because there are so many things I wouldn’t have remembered, and I wanted them in chronological order too! I picked out some of my favorite memories of us, as well as some lyrics from songs and a few quotes. Before I knew it, I had something for every card! Step 1: Punch a hole in the top corner of the joker playing card. Use this as a template for punching the holes in the rest of the deck. Step 2: Get creative! 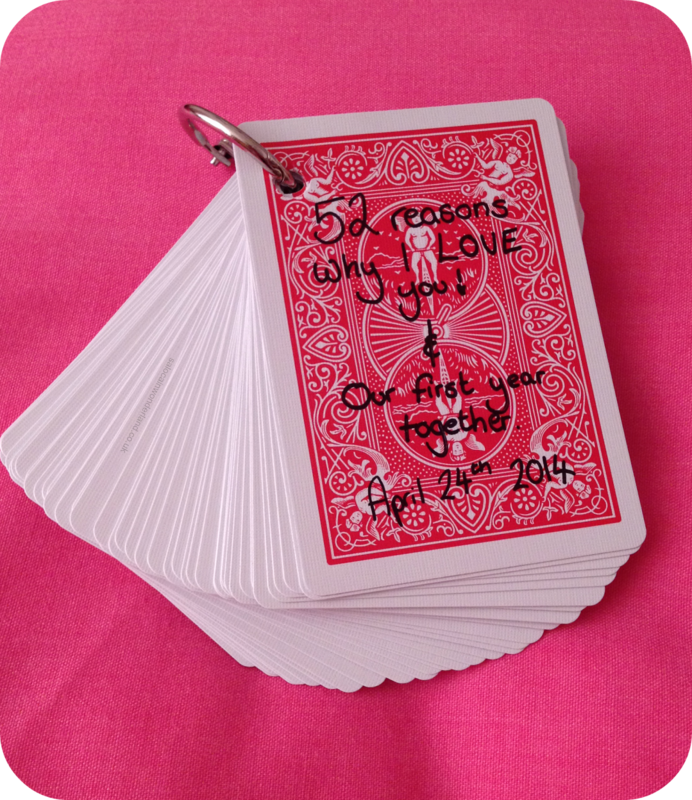 Write down your reasons, memories, lyrics etc on the playing cards. I wrote on the numbered side as it offered more white space. I had planned to put in some pictures too but my printer malfunctioned so I had to settle with words and scribbles. Other things you could do…attach ticket stubs, photos, cut outs, collages, pretty much anything that’s small and flat will work! 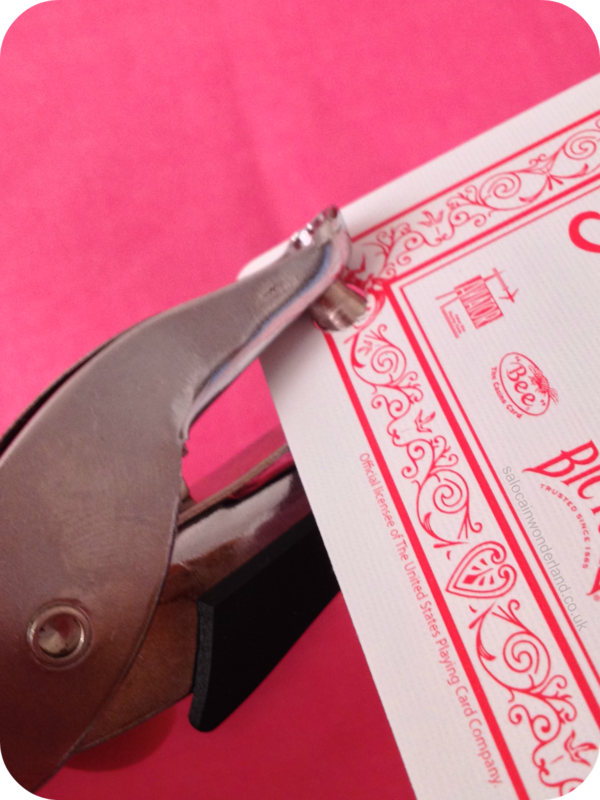 Step 3: Make sure your cards are in the right order then hook them onto the binding clip. For the front cover, I flipped the card over so the back was facing me, then punched a hole in the corner and put this on top of the deck. I found one binding clip was enough, but if you want a more book like appearance you could punch two holes in the cards on the side and use two binding rings. Ribbon or string would also work; just make sure you tie them tight enough to hold but not too tight, so that you can’t freely flip through the cards! There you have it, job done! Putting the deck together took around an hour, getting all my memories and quotes together took a lot longer! If you have a quick look on Pinterest you’ll see some amazing takes on the project that are sure to inspire you! Oh, and his reaction? He loved it of course! What other flip book deck of cards creations do you think would make great gifts or keepsakes? Let me know in the comments below! I was made up when I found it on Pinterest and even more made up when it actually worked out lol! That never happens with a Pinterest project! I'd be made up too, I think I need to tell the Mr to start getting crafty! Thanks! If you make them be sure to let me know how they turn out!